There’s so much talent making waves at the moment, and Jhene Aiko is no exception. 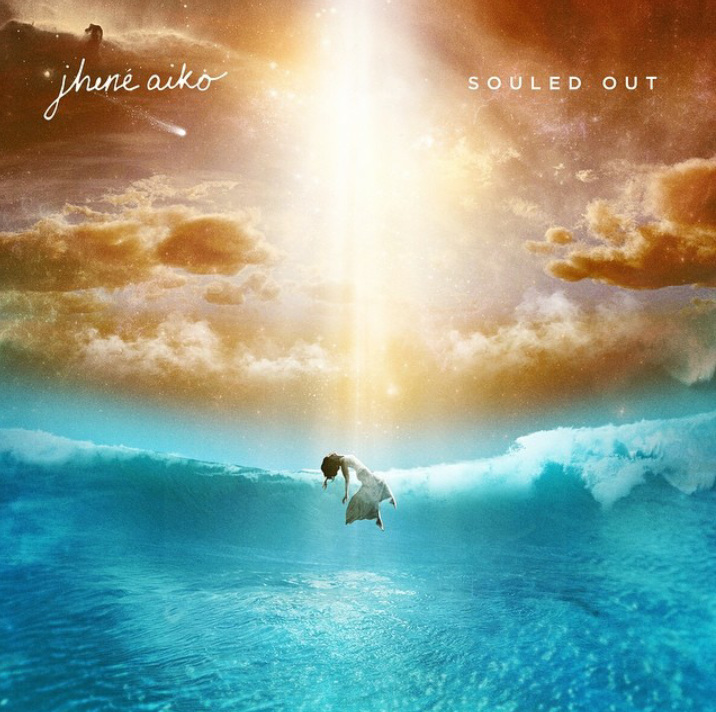 She’s been leading up towards her the release of debut by making guest spots on albums from the likes of Drake, Common and Childish Gambino, and after the release of her well-revieved debut EP, Jhene Aiko blesses us with her debut studio album- Souled Out. The title and artwork of Souled Out couldn’t encapsulate the album any better, it really is an at-ease project that floats by with chilled guitar-riffs and subtle beat claps, however, that’s also the problem. Every song sounds the same and it’s only through guest spots and the occasional memorable lyric such as ‘Please don’t take my hand unless you plan, to take a stand and be a man, who understands that I’m no walk in the park’, that you can distinguish between the tracks. The album kicks off with a pretty shoddy opener- Limbo Limbo Limbo which seems to be tailored to a rapper, as apposed to someone such as Aiko, and often this can be a consistent problem across the album. A further qualm with Souled Out is its nowhere tracks, by ‘nowhere tracks’ I mean songs that don’t amount to anything and just filter into background noise while you listen, again this is an omnipresent quality to Jhene Aiko’s debut LP. The album does have its highlights however. Take Remember, the right combination of production to vocalisation makes for one of the album’s highlights, a subtle guitar riff starts as the basis of the track while a thudding drum boosts Aiko’s assets. Eternal Sunshine works in very much the same vein, instead opting for a chilled piano, it’s the song that best encapsulates Aiko’s ability as a vocalist, with backing vocals having a great amount of prominence. In summary, Souled Out is kind of hit-and-miss. In places it really does liven up and impress, but there’s too much flat material that unfortunately makes up the majority of the project. Spotless Mind, the two tracks mentioned above, and the excellent Promises, show that Aiko is a real talent, but packaged as a complete piece of music, Souled Out doesn’t do that as a full-length LP.